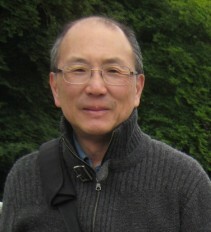 Professor Alan Liu from the University of California Santa Barbara is visiting the University of Canterbury as a Fulbright Visiting Specialist. He will be giving public lectures in Wellington, Dunedin and Christchurch. While in New Zealand on his Fulbright Specialist Award, he will research and lecture on the field of digital humanities and its impact on the humanities and arts more generally including speaking at the following events, open to the public. The Frontiers of Digital Humanities: Humanities Systems Infrastructure: Alan Liu, Paul Arthur, James Smithies followed by workshop discussion. James Hight 210, University of Canterbury. Thurs 12th November, 1-5pm. Literature+ A conversation about Alan Liu’s Literature+ course. Place TBC, University of Otago. Fri. 27th November, 2-3 pm. What Everyone Says – 4Humanities A public lecture by Prof. Alan Liu, UC Santa Barbara. Place TBC, University of Otago. Fri. 27th November, 5.15-6.15pm.